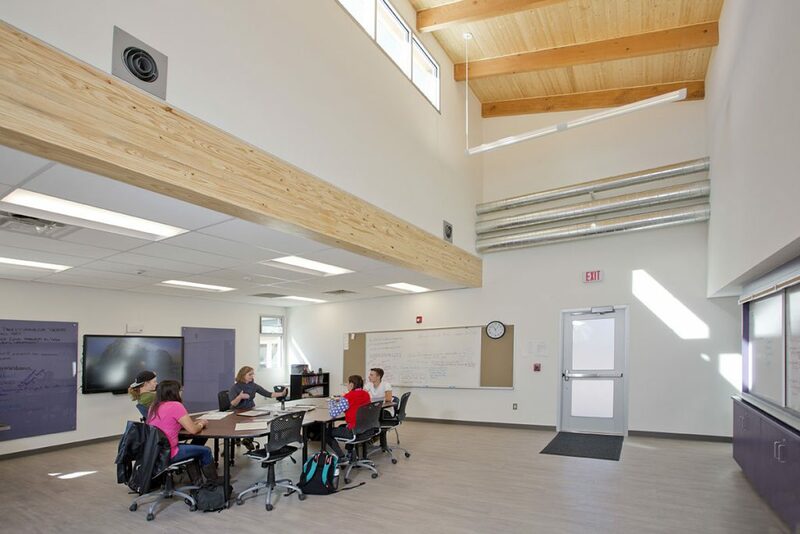 The new classroom, music and recreation buildings for Moreno Valley High School provided a unique opportunity to apply the sustainable principals of design to a new high school construction project. The site allowed for ideal orientation of the buildings and outdoor space to capture morning light and solar gain. 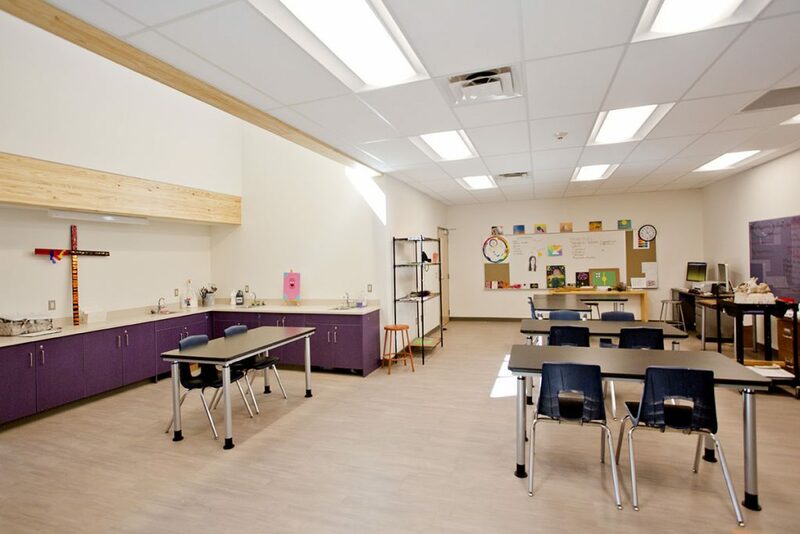 The orientation also allowed for the architecture to incorporate daylight as the primary source of lighting for the classroom spaces. Indirect daylight captured through the sun wells and lobbies filters through the school’s classrooms. Hallways consume large amounts of interior conditioned space adding to the cost of both construction and maintenance over time. 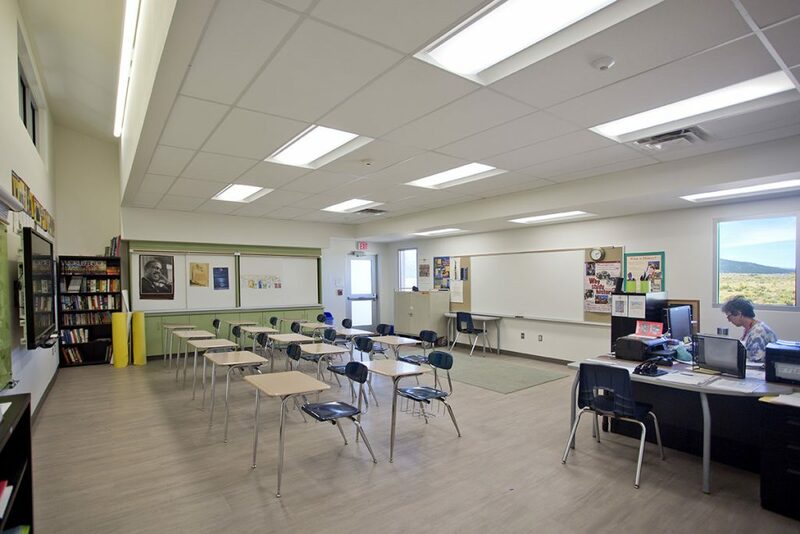 Small public schools in New Mexico also face the challenge of hitting the maximum allowable square footage allowed by enrollment, so MVHS chose to allocate the allowable square footage to the classrooms instead of circulation space. The orientation of the public open space allowed for circulation space that was exposed to light and sun as well as being sheltered from the west wind. 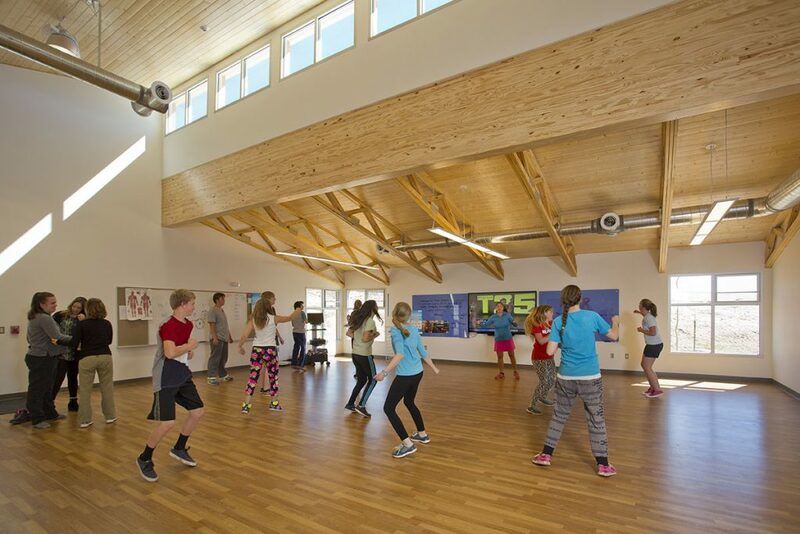 The exterior courtyard space used for teaching, gathering, and athletics also enjoyed the same shelter and light gained from orientation. 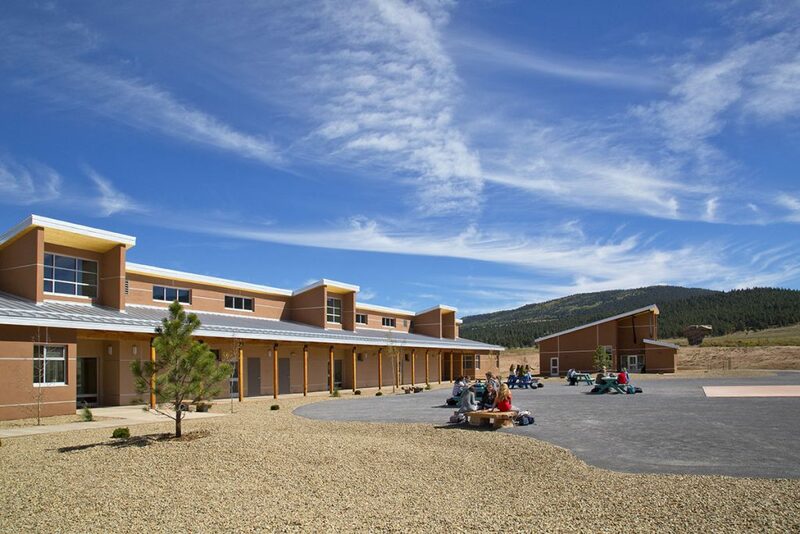 The structure of the building was achieved with a structural insulated panel system (SIPS) that allow for speed of construction and a superior building envelope. Energy Efficiency was achieved through direct and indirect solar gain as well as the use of LED lighting and a High Efficiency HVAC system. Passive rain water collection is directed to aspen plantings in the courtyard to both save on water use and provide shade and cooling in summer months. The site was graded in a way that provides shelter for the buildings and directs surface flow from the mountain slopes around the site. 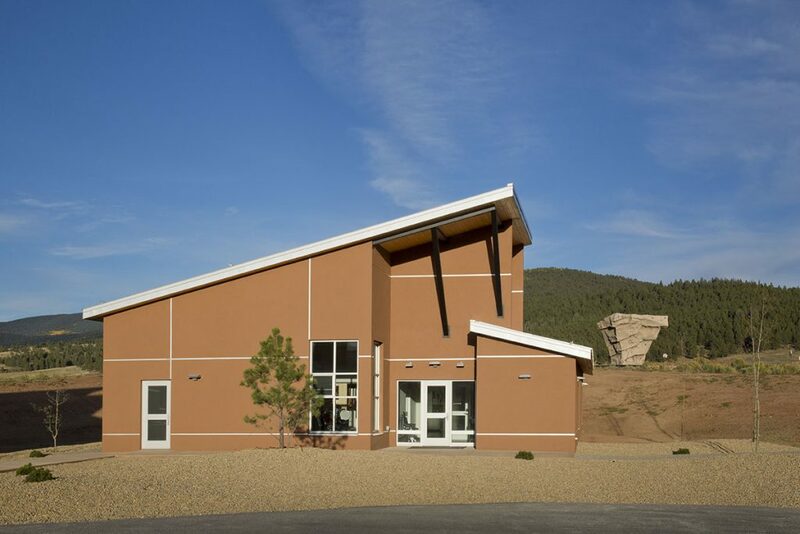 The design provides a large open-shelter playing surface and the dirt generated by the excavation was used to shape a large landscape feature that blocked the short view of a power substation and enhanced a longer view to the mountains beyond. The stunning composition of buildings, site and landscape stand out as an immpecable example of sustainable design applied to its highest function and use impacting the daily lives of students and staff.